A Game 5 will be played in the Oil Kings opening round playoff series versus the Medicine Hat Tigers on Friday, March 29 at 7:00 PM MT at Rogers Place. Tickets will go on sale online here on Monday, March 25 at 10:00 AM MT. For the complete series schedule, visit the 2019 Oil Kings Playoff HQ. Join in the conversation on all things Oil Kings as the team makes its push towards a WHL Championship! 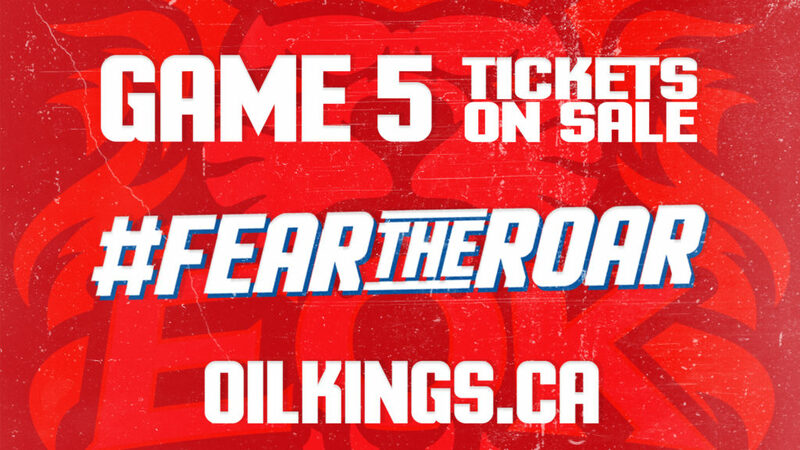 Use the hashtag #FearTheRoar on all Oil Kings social media accounts; Twitter (@EdmOilKings), Instagram (@edmoilkings) and Facebook (/EdmOilKings).